This weekend at UFC 197, the top two pound-for-pound fighters in the world compete inside the Octagon. stripped due to his outside-the-cage conduct, is 21-1 in his MMA career, including a 15-1 record inside the Octagon with his lone loss coming via controversial DQ. 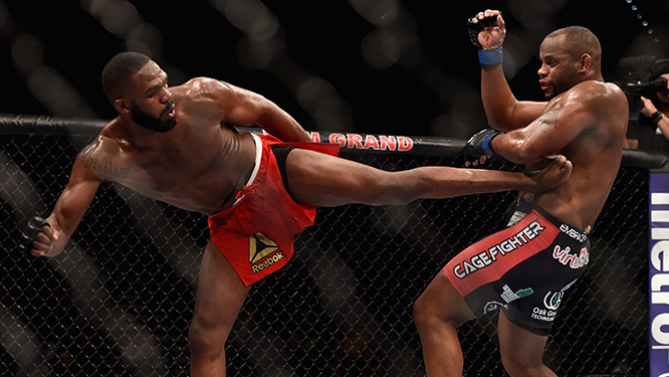 Before he had his title stripped, Jones had defended his title eight times in a row against the best the light heavyweight division has to offer. He was the best pound-for-pound fighter on the planet, arguably the best fighter of all time in the sport's history, and he regained that spot in the UFC's official rankings once he was reinstated. But he hasn't fought in over a year and hasn't finished a fight in three years, and in a sport where everything changes in a flash, he needs an impressive win over OSP this weekend to keep his place at the top of the P4P charts. That's because the co-main event of UFC 197 features the #2 P4P fighter in the world, Demetrious Johnson, who takes on Olympic gold medalist Henry Cejudo. 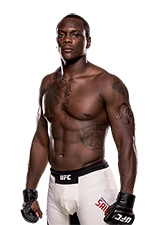 Johnson is 23-2-1 in his MMA career and 11-1-1 in the UFC, including a near-perfect 9-0-1 record in the flyweight division. 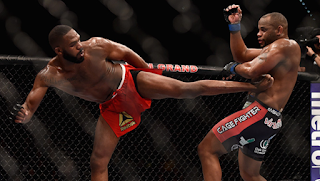 Since winning the UFC's 125-pound tournament to crown the first-ever flyweight champ back in 2012, Johnson has reeled off seven straight title defenses and has barely broken a sweat doing so. He might not have the most exciting fighting style, but he wins fights, except at 135 lbs against another P4P great in Dominick Cruz. But at 125 lbs, there is no one better in the world, and although Cejudo is a live dog in this matchup given his wrestling pedigree, Johnson is a big favorite to retain his title for a reason. And if he does so, especially if it's in impressive fashion, there's an argument to be made that he is the top P4P fighter in the world. 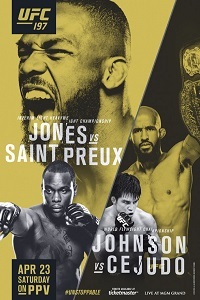 Regardless of whether you believe that it's Jones or Johnson who is the top pound-for-pound fighter in the world at this very moment, you can't argue that the title will be on the line this weekend, even if Jones isn't fighting Johnson. 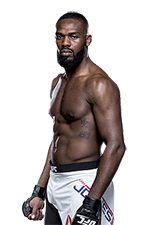 If Jones wins against OSP and Johnson defeats Cejudo, you pretty much have to keep Jones at the top, unless he looks absolutely awful and barely squeaks out a win while Johnson looks amazing. 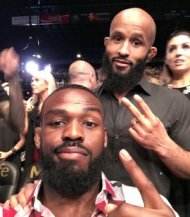 Of course, if Jones wins and Johnson loses, then Jones automatically keeps the top spot. 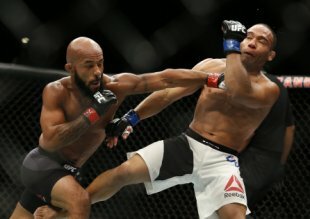 Should Jones lose, though, and Johnson win, then you're going to see "Mighty Mouse" surpass "Jones" as the #1 P4P fighter in the world, and it would be hard to argue against it. So, clearly, a lot is on the line this weekend for these two, even if the whole P4P argument is more of a talking point among MMA nerds than anything else. Still, this weekend's card is special. This might be the first time in many years the top two P4P fighters in the world are competing on the same card, so it should be a real treat for the fans. Now let's see what happens, and if if a new P4P champion is crowned, or if the rankings remain the same.